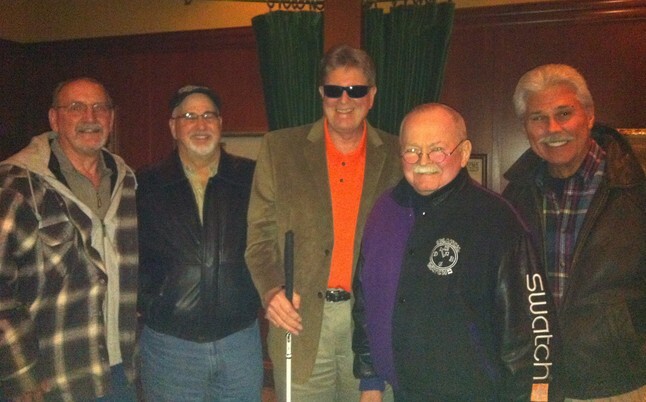 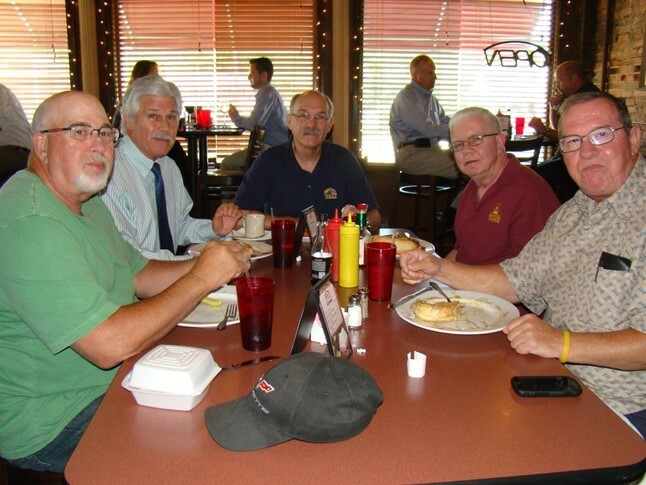 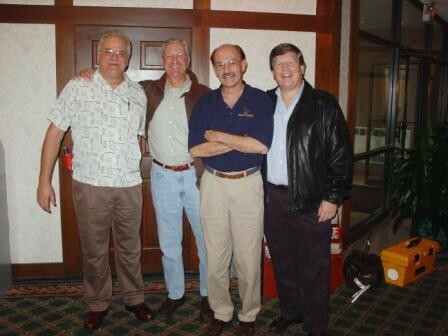 A mini get together at Mike's Bar and Grill, June 20, 2013: Gerry Danzey, Jerry Walters, Larry Froehlich, Sparky Adams and Lloyd Foster. 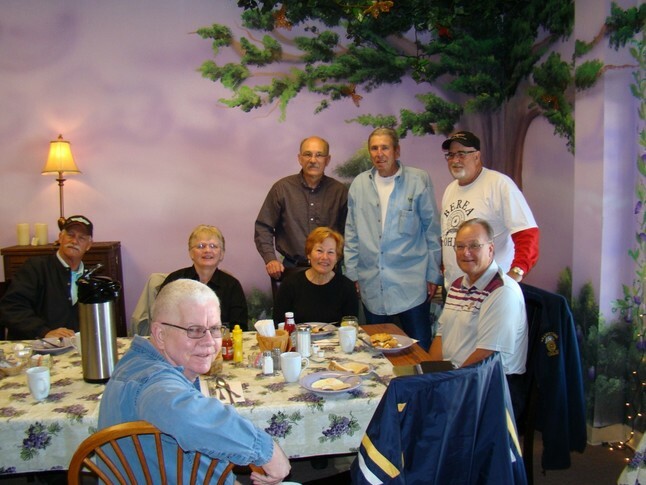 Left to right; Craig Mathis, Kathy Gregg Beckman, Larry Froehlich, JoAnn Ciresi Allen, Chuck Stehman, Gerry Danzey, Tom Allen, and Sparky Adams in front. 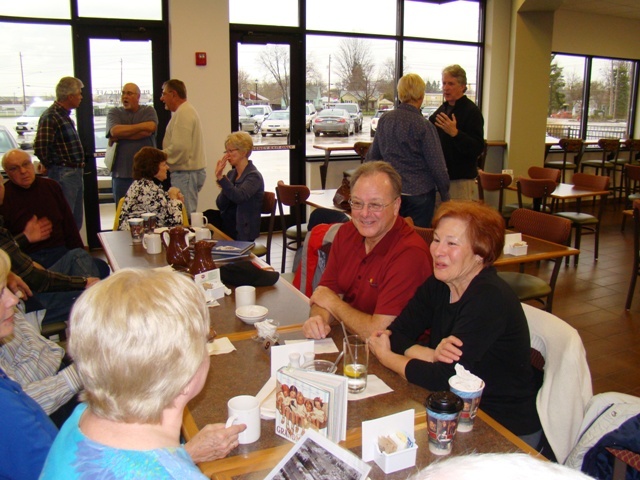 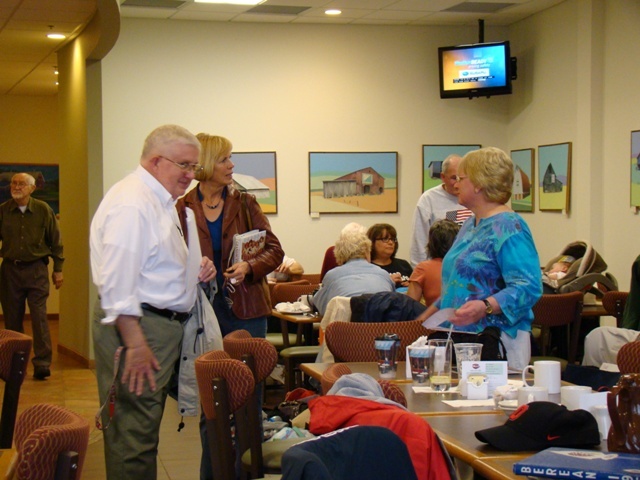 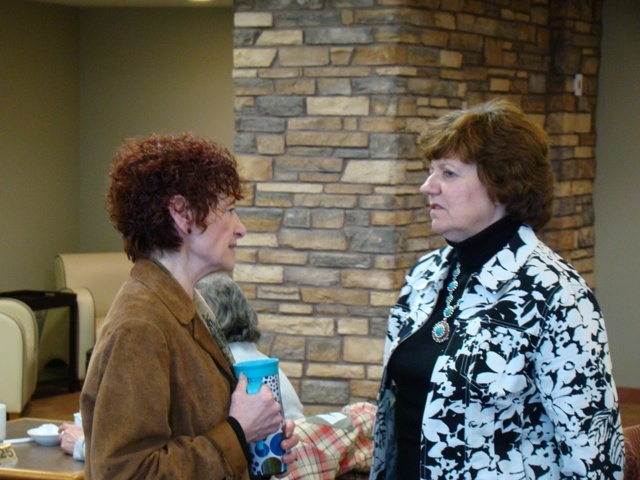 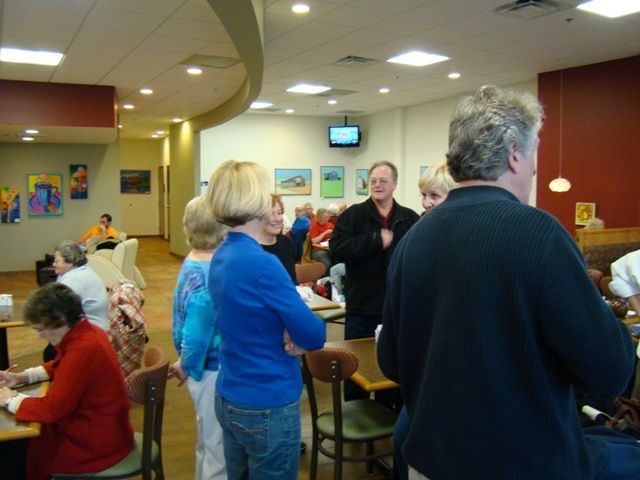 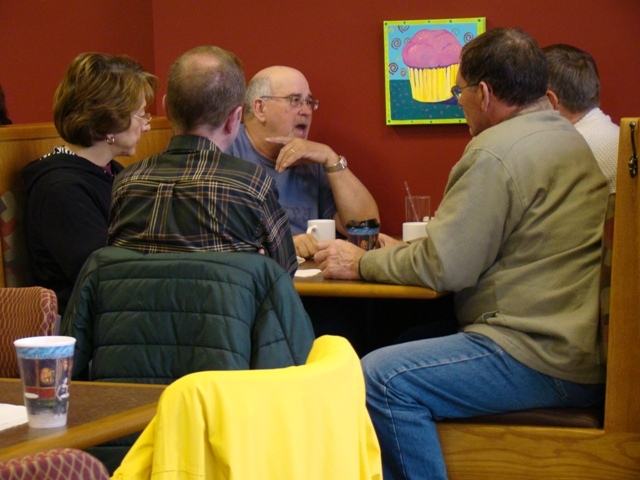 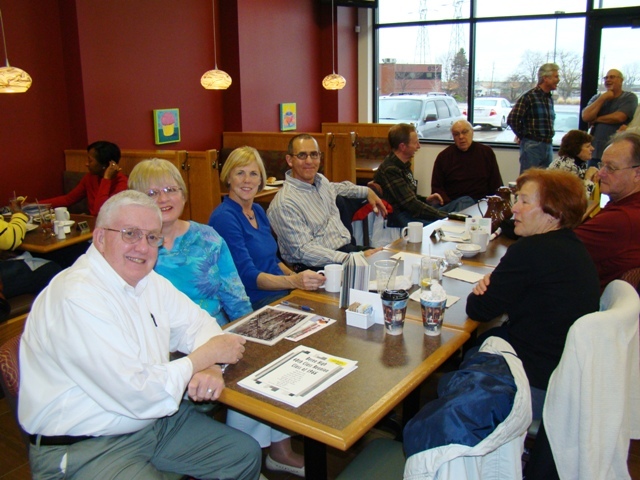 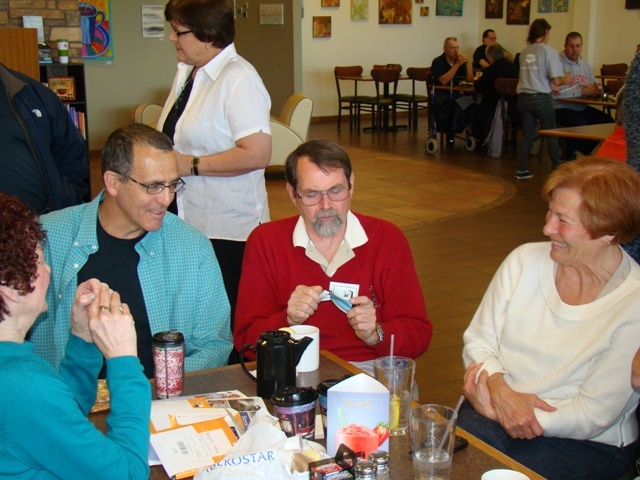 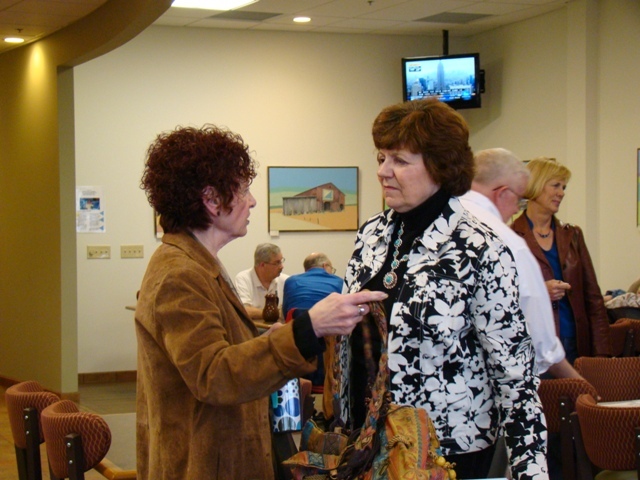 Some pictures from the April 7th, 2012 get together at the PERK-cUP CAFE in Berea. 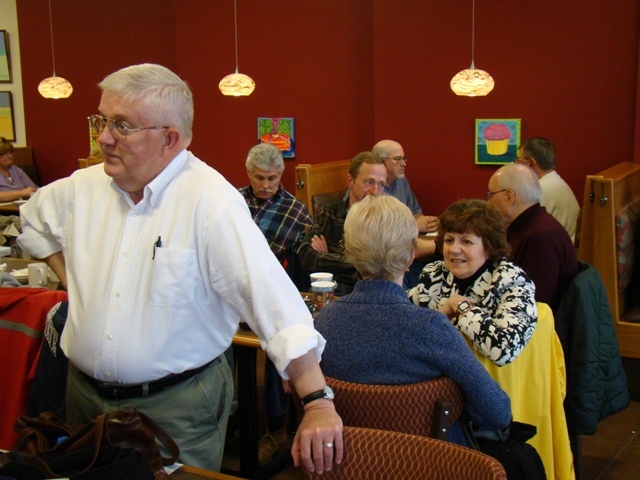 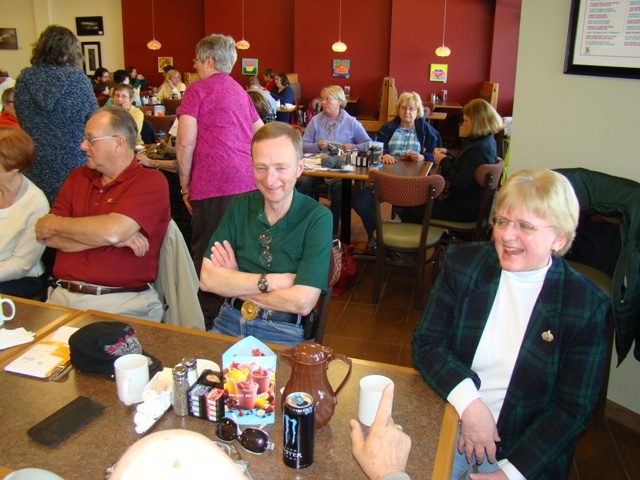 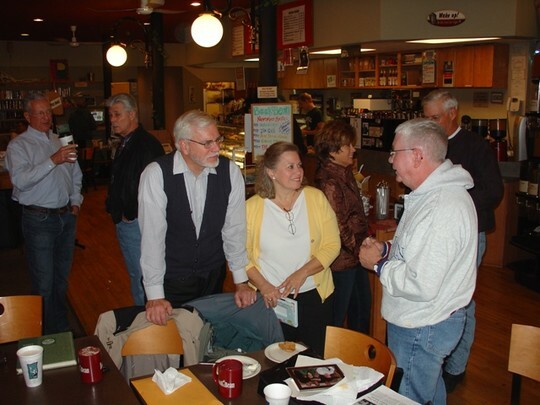 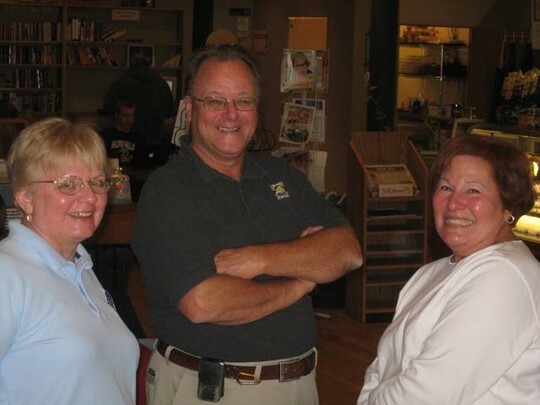 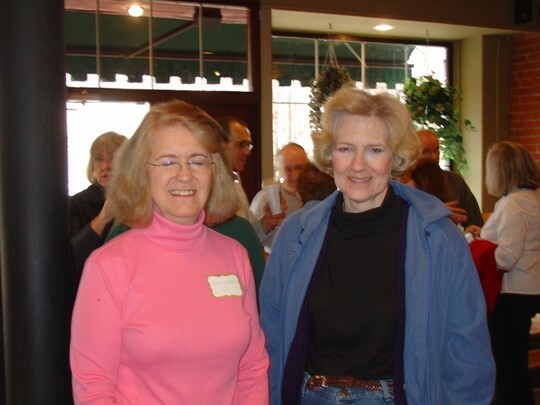 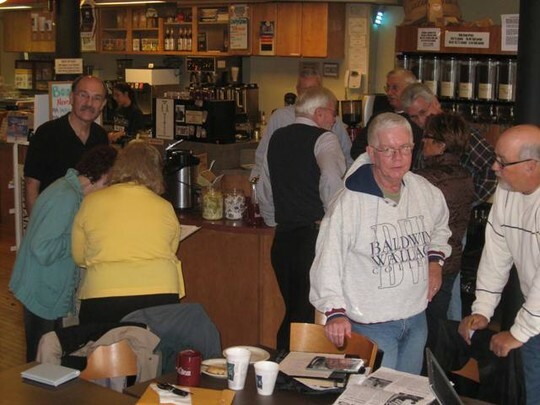 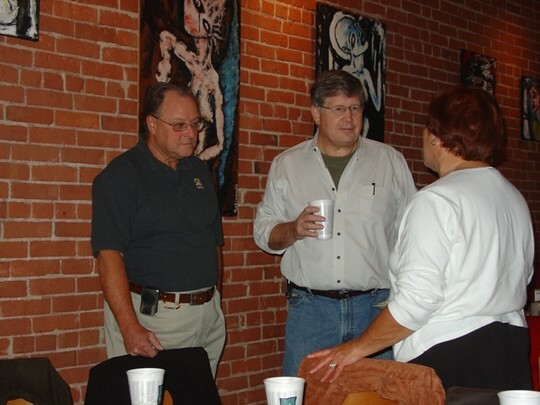 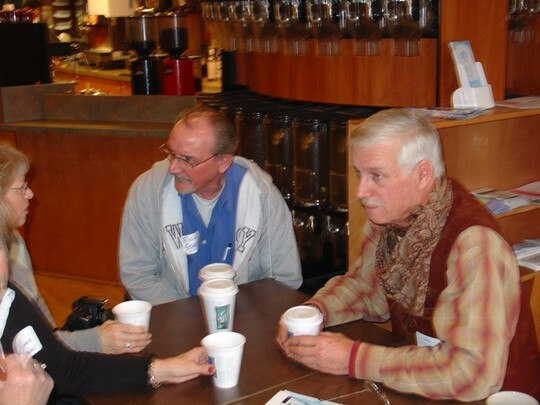 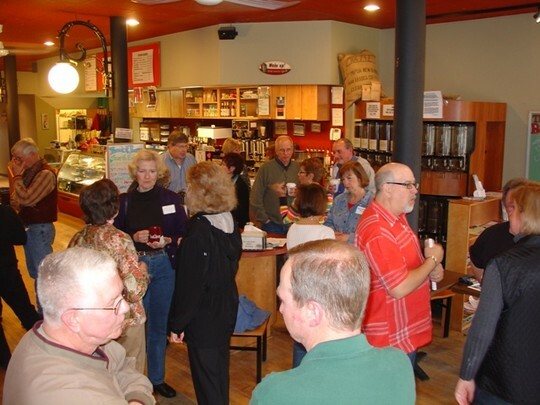 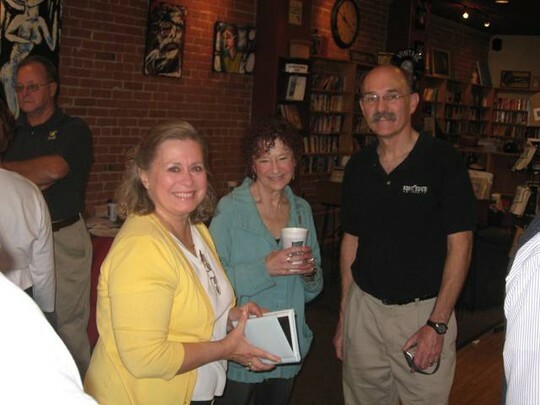 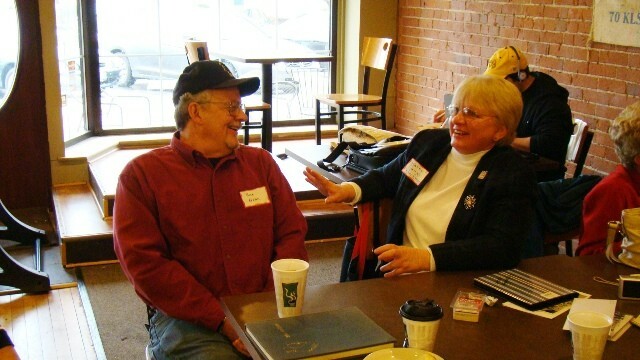 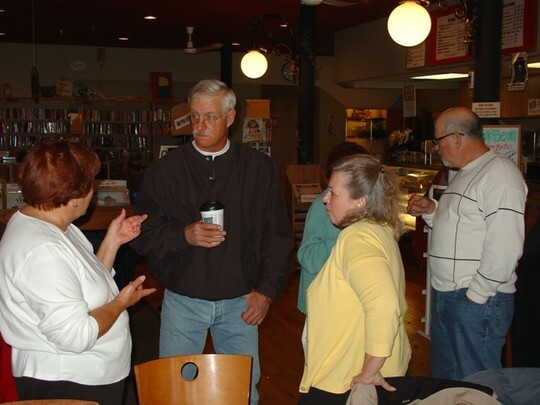 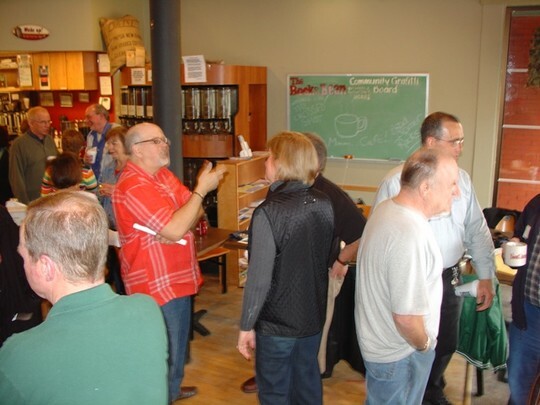 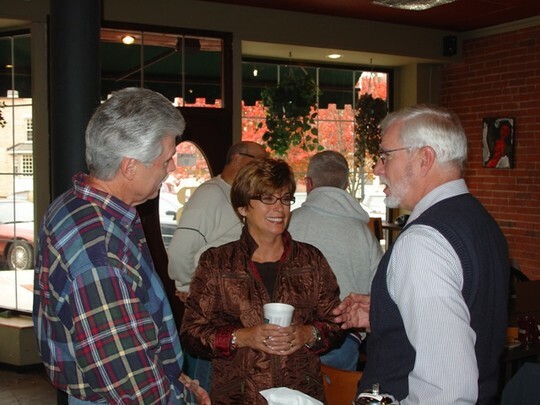 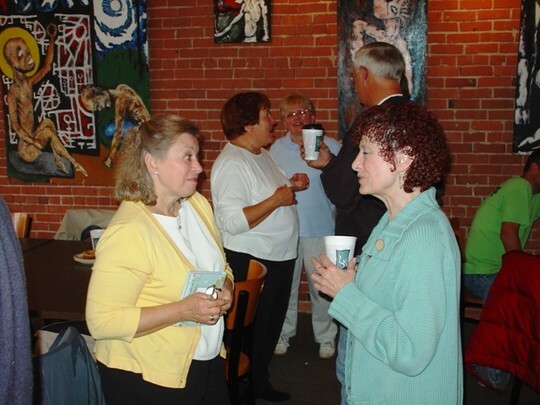 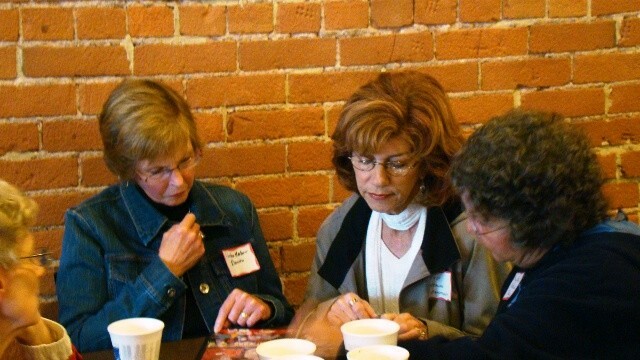 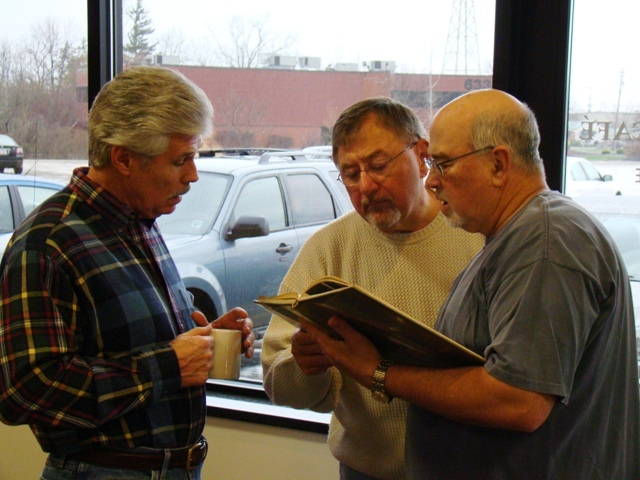 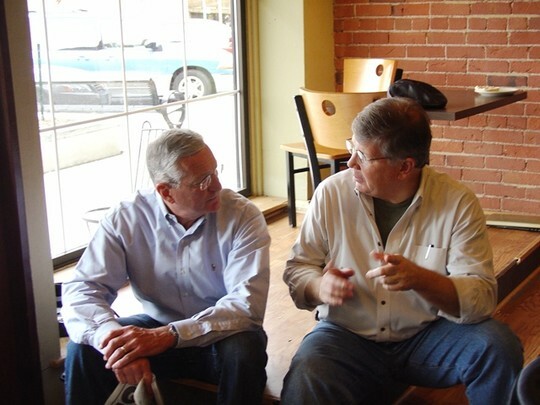 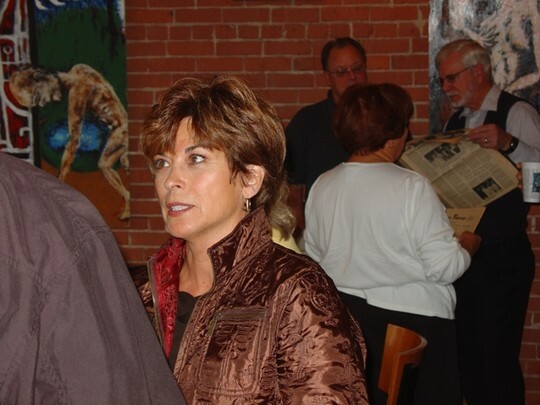 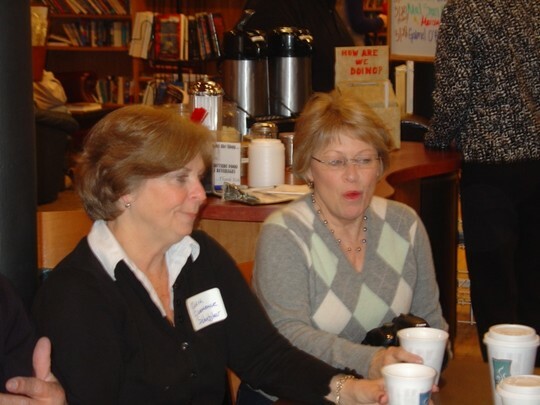 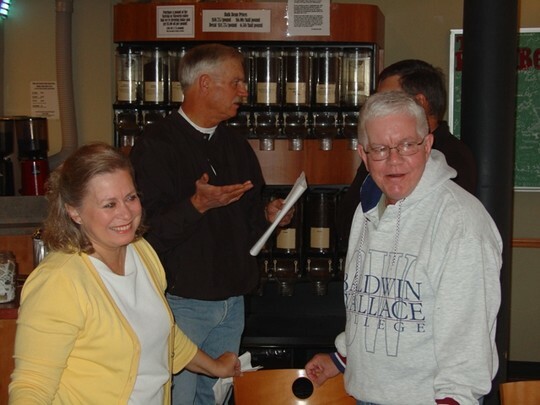 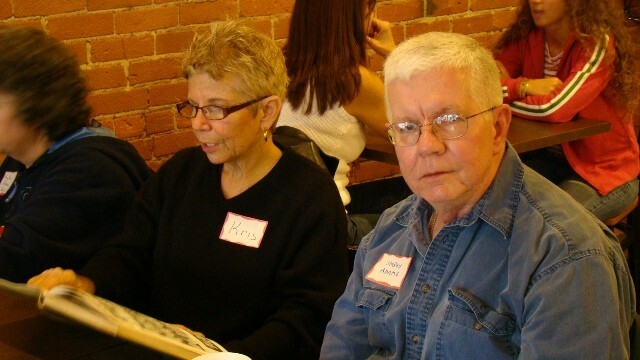 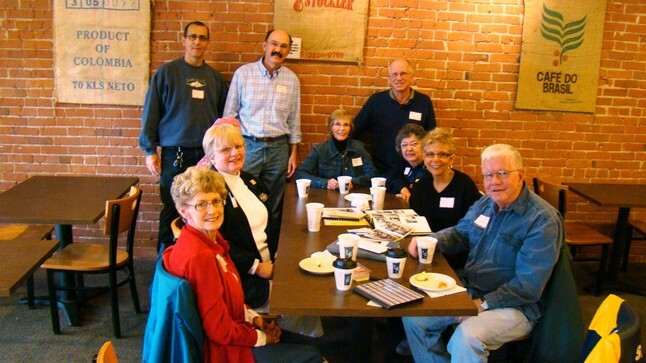 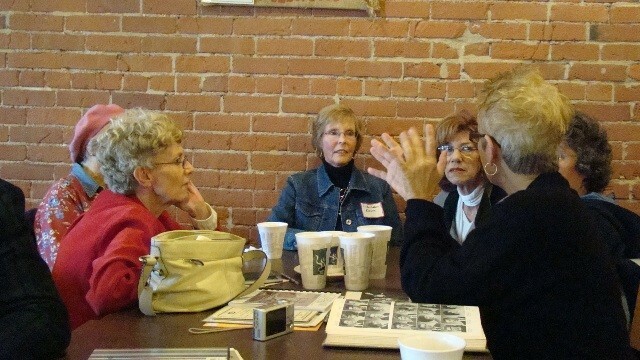 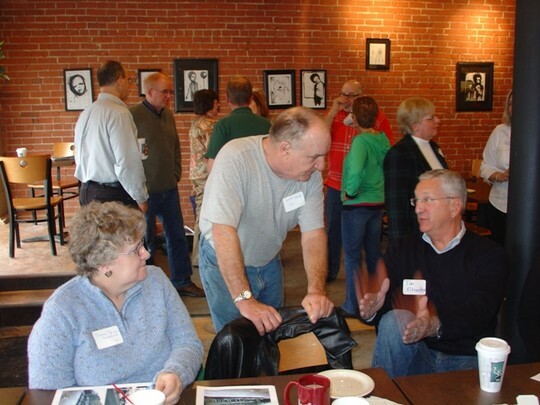 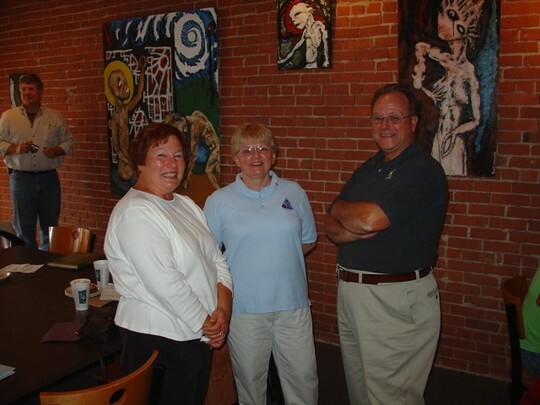 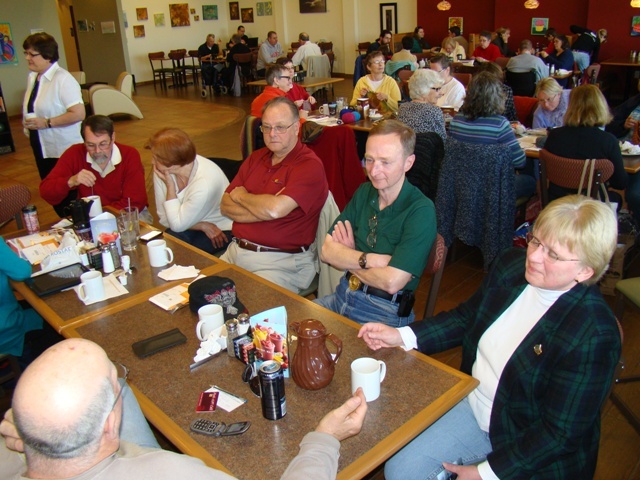 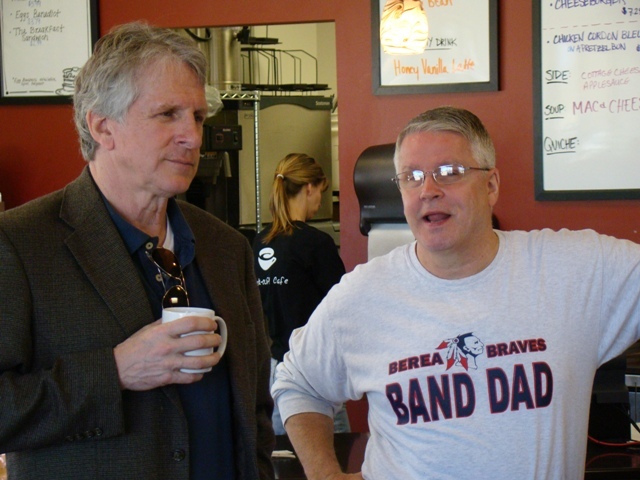 Some pictures from the April 16th, 2011 get together at the PERK-cUP CAFE in Berea. 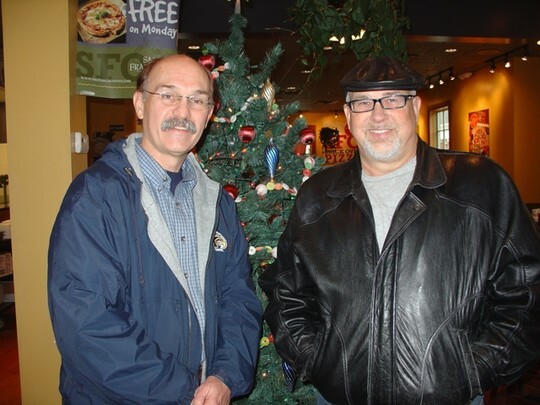 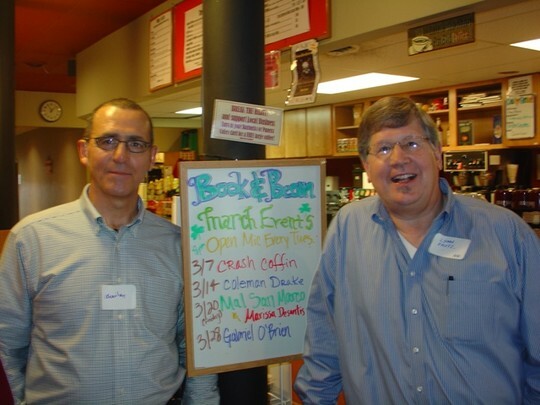 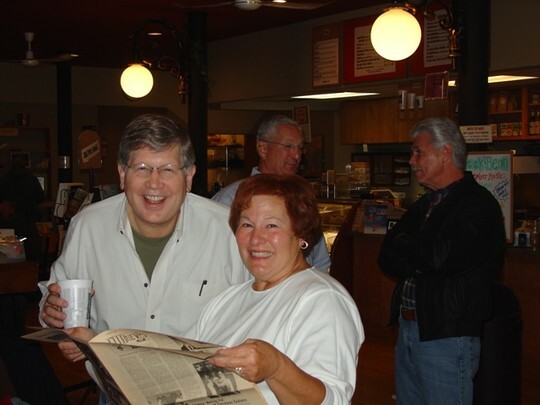 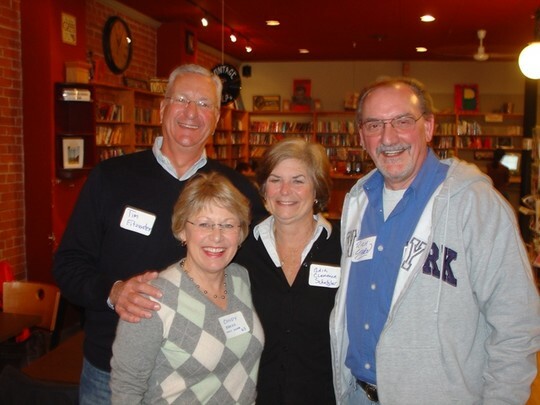 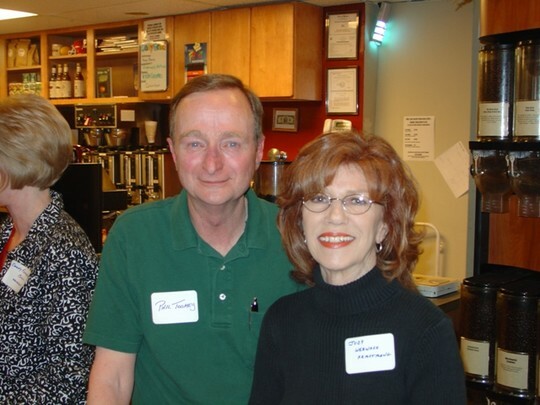 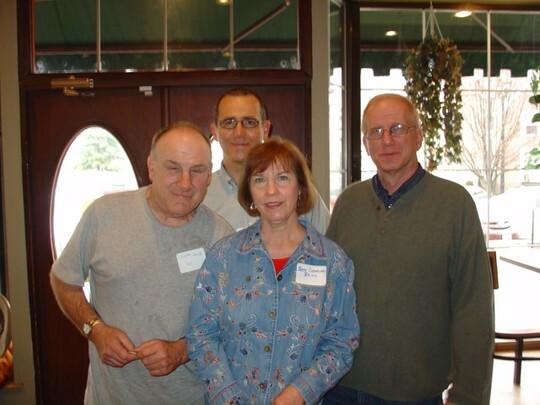 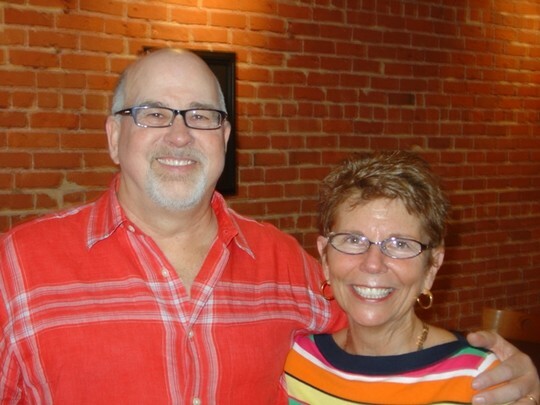 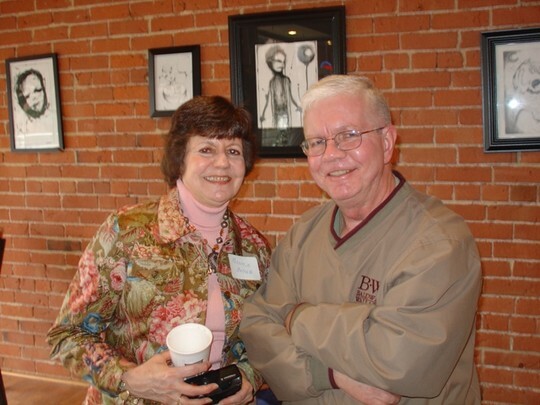 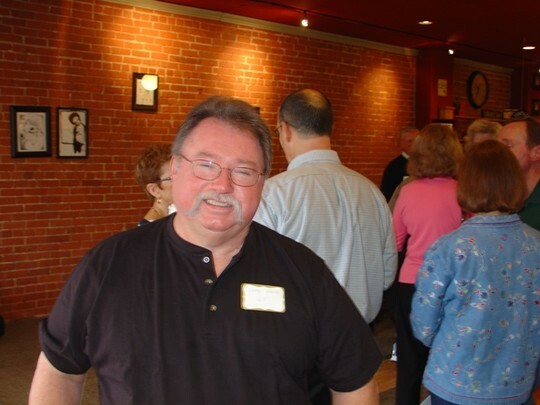 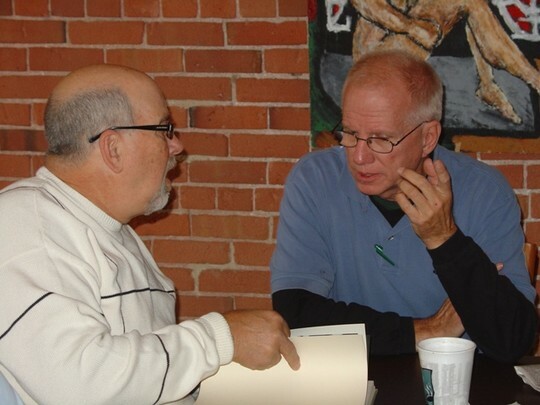 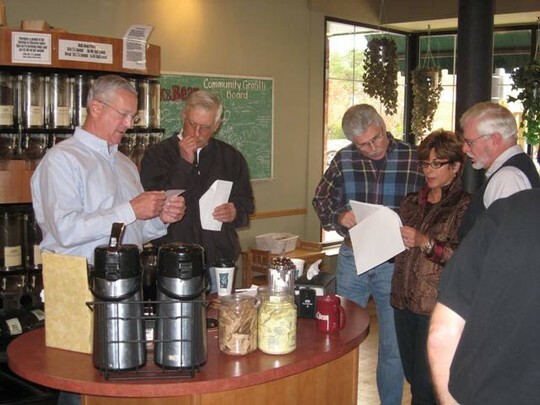 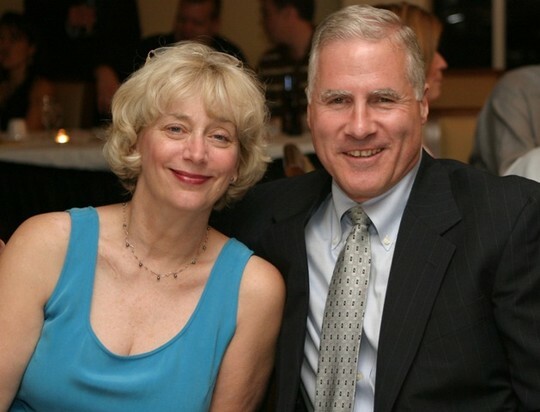 Charles Jandecka (class of '66) may have been the last BHS graduate at the Book & Bean! 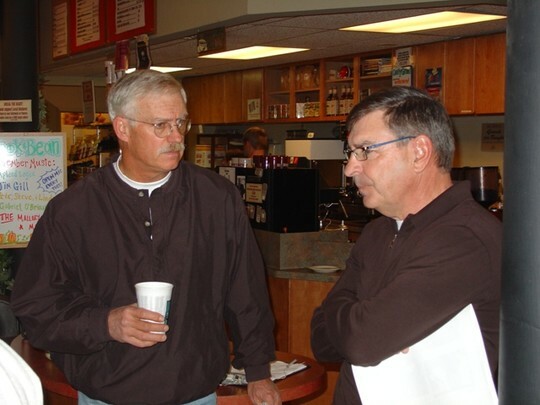 He stopped to get coffee on their last day of business, 12-31-09. 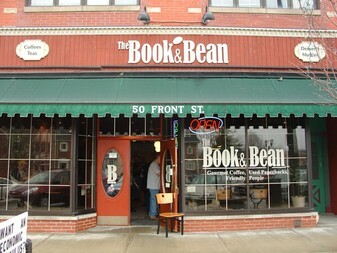 We will miss the Book & Bean! 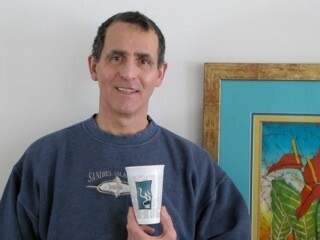 Thanks for sharing the picture! 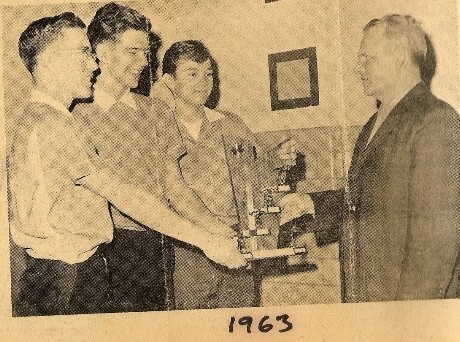 Buck Edwards, Larry Lehlbach and Larry Froehlich bowled together in the early sixties and their team won the Saturday morning junior league in 1963, so we updated the picture with the trophy with the help of Gerry Danzey (as Benny)! 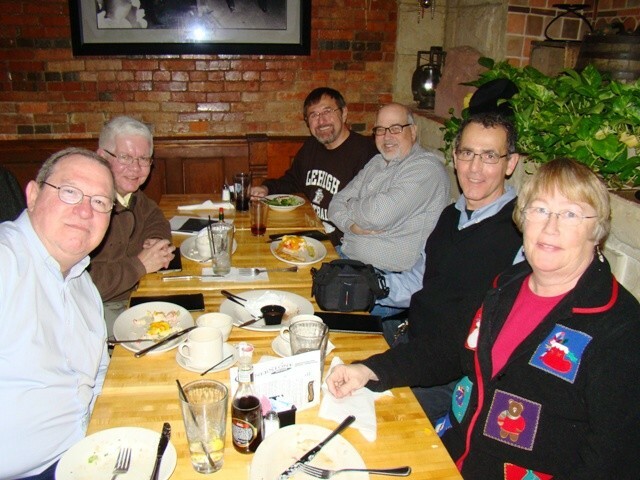 Get Together, March 7, 2009. 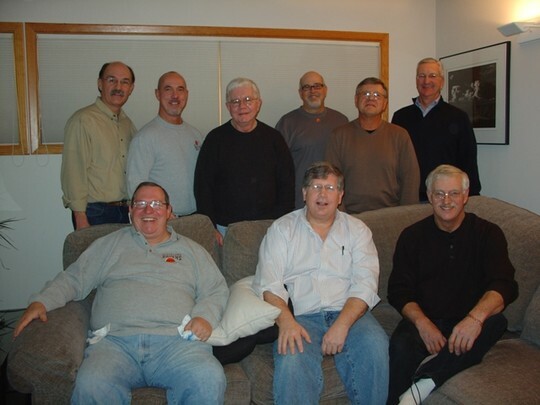 Latest get-together; Decmeber 28, 2008 at Gerry and Pat Danzey's house. 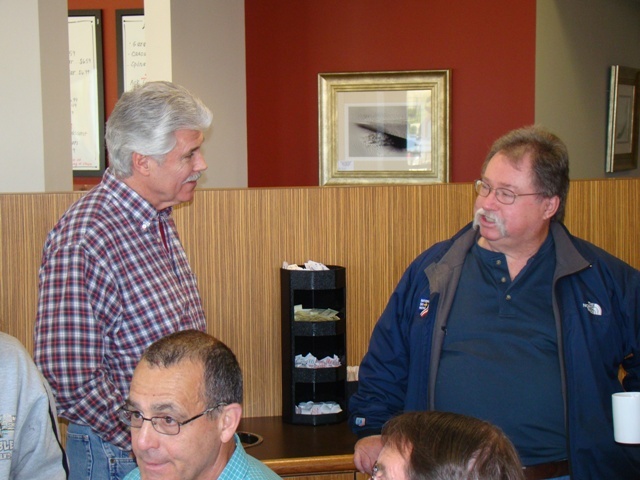 Thanks for the hospitality! 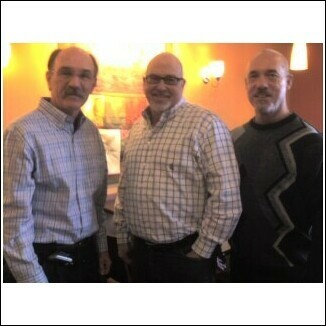 Classes represented: 1965, '66, and '67. 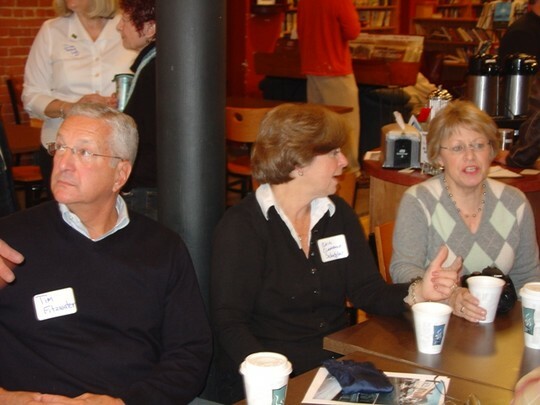 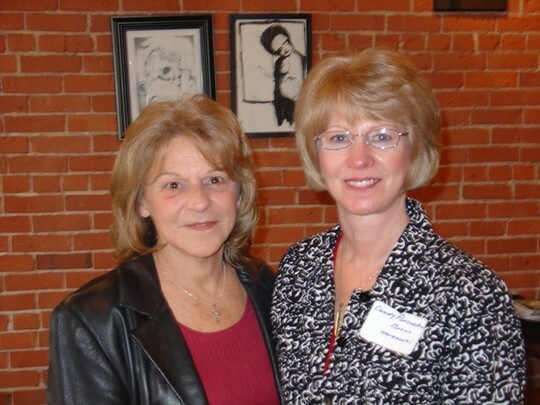 The following pictures are from the November 8, 2008 get together in Berea at the Book and Bean, members of the Classes of '65 and '66.